The NBA regular season is finally underway and continues tonight. In a matchup between in-state rivals, the Orlando Magic and Miami Heat will meet at Orlando’s Amway Center for their season openers. 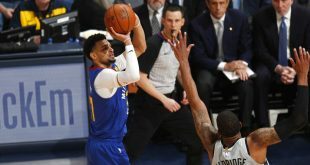 Tip-off is set for 7 p.m.
Last season, the Magic faced many obstacles throughout the regular season, resulting in the team missing the playoffs for a fifth-consecutive year. One of the things they struggled with the most was their defensive play. The Magic ended last season with a 29-53 record. 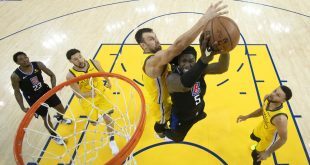 Due to those defense troubles, eight of their losses were by 30 points or more and in three games their opponent scored at least 70 points from inside the paint. Since 2011, the Magic have not won more than 37 games in a season. 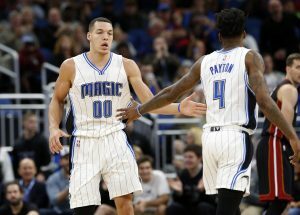 The Magic are lucky to have the same starting five as last season: Elfrid Payton, Evan Fournier, Terrence Ross, Aaron Gordon and Nikola Vucevic. Even though Terrence Ross missed the last three preseason games due to a sore hamstring, he is expected to play tonight against the Heat. The Magic also add an important player to their roster, the sixth overall pick in the 2017 NBA draft, Jonathan Isaac, former FSU Seminole. Orlando also added Jonathon Simmons, who is a known defensive specialist and joined the team as a free agent after being with the San Antonio Spurs. The Miami Heat finished last season with 41 wins and 41 losses. 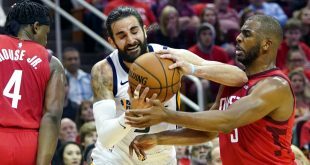 The Heat just barely missed the playoffs last year after losing a tie-breaker to the Chicago Bulls because they weren’t able to overcome their 11-30 start to the regular season. Like the Magic, most of the Heat’s roster is returning. Center Hassan Whiteside says that this team doesn’t rely on one player to score all the points, everyone has a chance to help the team. This Miami team has a few key players that will help lead the team this year since the exit of long-time superstar Dwyane Wade. One of the players who the Heat will need to step up is forward Justise Winslow. Winslow says he and the Miami Heat have a winning mentality and never let anything get in the way of that mindset. These two Florida teams have met as many as 111 times since they started playing one another in the 1989-1990 season. The Heat lead the series over the Magic, 62-49. Last season, these teams played each other four times. The first game was in favor of the Heat, but in the last three, the Magic came out on top. 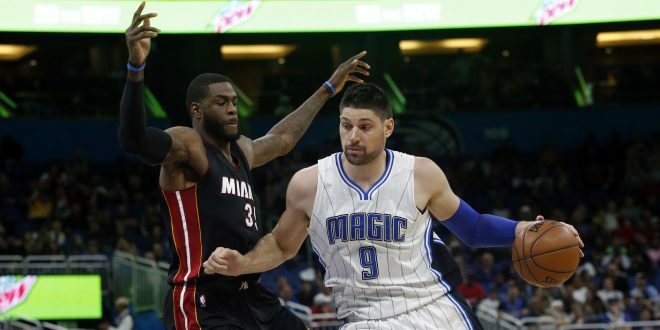 The last regular season match-up between the Heat and Magic ended in a 110-99 win for Orlando. The Heat are hoping to have a better start to this season than they did last season, and they can start that tonight with a win over the Magic. 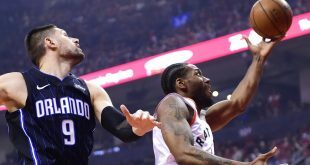 On the other hand, the Magic need to show the work they’ve done on defense, and hope the defense can contain All-Star point guard Goran Dragic.